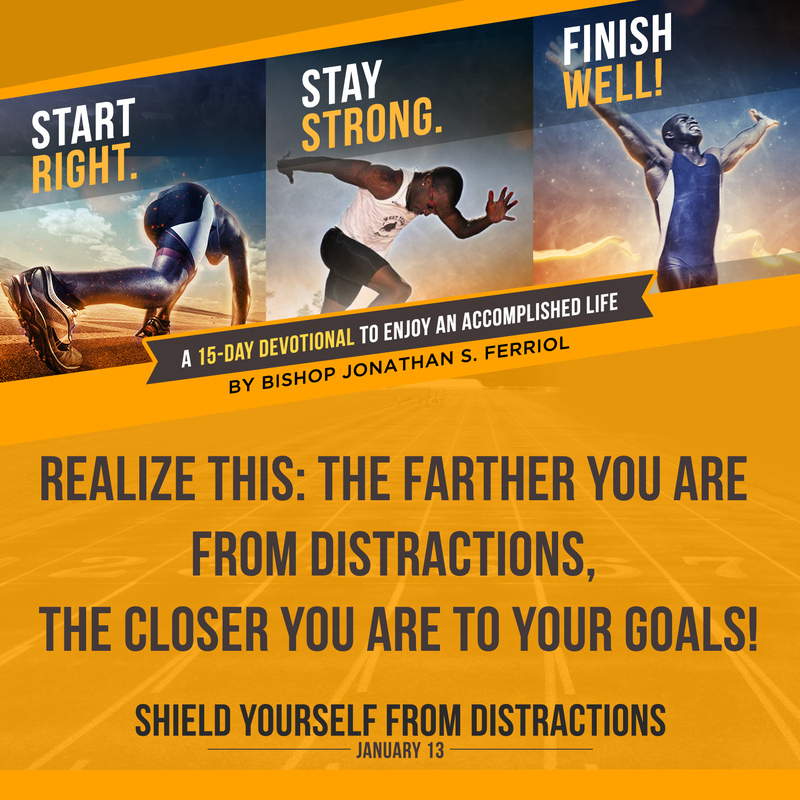 Distractions are our worst enemies in our pursuit to live a more accomplished lives. They attack us in different ways, but they are always bent on making us stray from our noble goals. They lurk in strategic corners often disguise as an urgent or as a needful activity begging to be given attention. A co-worker stopping by at your office for a chat, a new update on your news feed, or perhaps, a video game console sitting pretty in your living room. Whatever these distractions may be, you will be better off without them. Jesus knew the staggering effects of both internal and external distractions. He condemned them and taught His disciples how to avoid them. For instance, Jesus chastised Martha for being distracted with all her frantic preparations at the kitchen; but praised her sister Mary for her better judgment, which was to sit and listen to our Lord (Luke 10:39-42). I couldn’t agree more. Distractions are better kept at bay when we actively choose to be focused and concentrated on our task at hand. So before you begin your day, make up your mind to stay away from distractions. Be decisive to never let anything or anyone distract you from accomplishing your goal for the day. Discover ways to drown the distracting voices of negativity, skepticism and doubts inside of you. Choose to meditate on God’s promises, instead. Stay positive. Avoid also being entangled in peripheral issues as well as from people that talk about them. Instead, channel your mental and emotional efforts that increase your abilities to achieve your goals. You may not entirely get rid of distractions inside or around you, but you can certainly lessen their effect on you. Realize this: the farther you are from distractions, the closer you are to your goals!